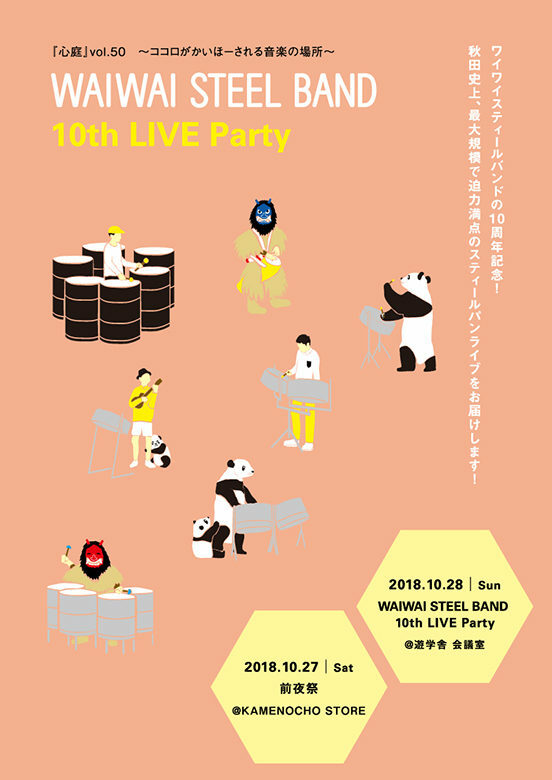 今年は10周年を記念してWAIWAI PANYARD／WAIWAI STEEL BAND 10th LIVE Partyを開催. 10/27はWAIWAI STEEL BAND 10th LIVE Party 前夜祭です. © copyright 2018 WAIWAI STEEL BAND All Right Reserved.